I really enjoy going solo (or attempting to) on quest kill targets that are a significant challenge. You know the ones. The elites or bosses, or simply those who happen to have 5 times the HP (health) you are running around with. Take this little wicked lady for instance, Sirana Iceshirek. It actually took me several attempts on two different days to bring her down. Three attempts/deaths came the first day when Sol decided to back off and re-think his stratagy. Several days later Sol found himself in the area and went for her again. The first attempt did'nt last long before she stomped him. On the second go around though, Sol finally got his act together and she went down quick. What a difference it makes when you take time to plan a rotation/attack, making sure you utilize all or at least most of your available assets. And as much as I generally don't care for battlegrounds, I do enjoy some time away in Wintergrasp. 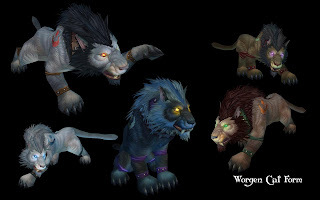 I was away from there for a bit of time when I no longer needed the honor points, but started back up again with the intention of putting together my off-spec tanking gear set. I've found that the usual 'crowd' has changed quite a bit, many new players whose names I don't recognise. 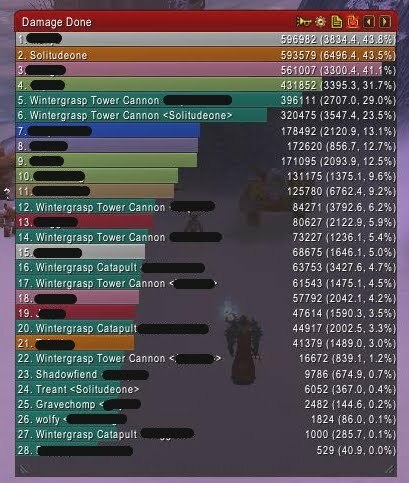 I've also found that Wintergrasp is no longer owned by the Horde 95% of the time. I think this may be down to about 80%, and during those Alliance wins, there is also a smattering of wins for defending the fortress, maintaining control in the follow-up battle. All this makes battle deaths that much sweeter, and Sol does get his share of deaths :) Allies still remain out-numbered, though not quite as outrageous as before. Perhaps due to many players just waiting around for the next expansion to go live. Besides, no matter what the numbers or deaths endured, Sol always leaves behind a trail of damage done, even if he spent time on a tower cannon. And from Blizzard's official community site, we have seen the pics of the new Worgen bear/cat forms. Finally, something that actually looks a bit sinister and mean! I really did like these for a change. 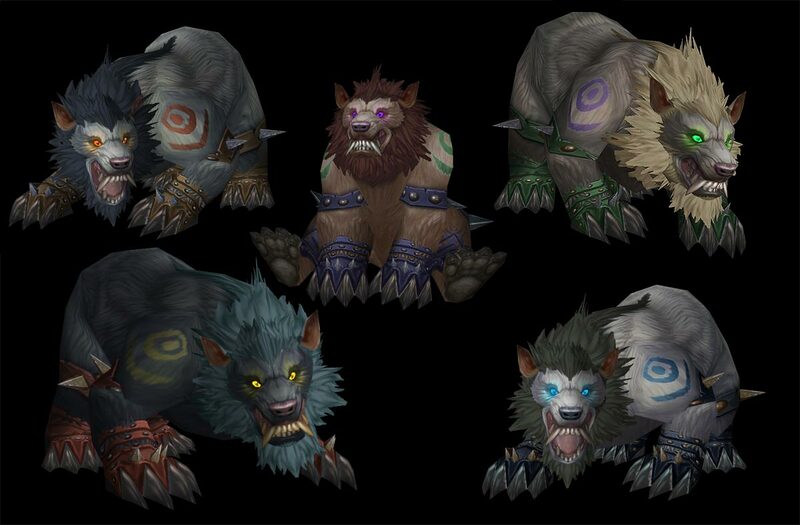 There are also some pics of the trolls bear/cat forms at the site. One last pic for today. 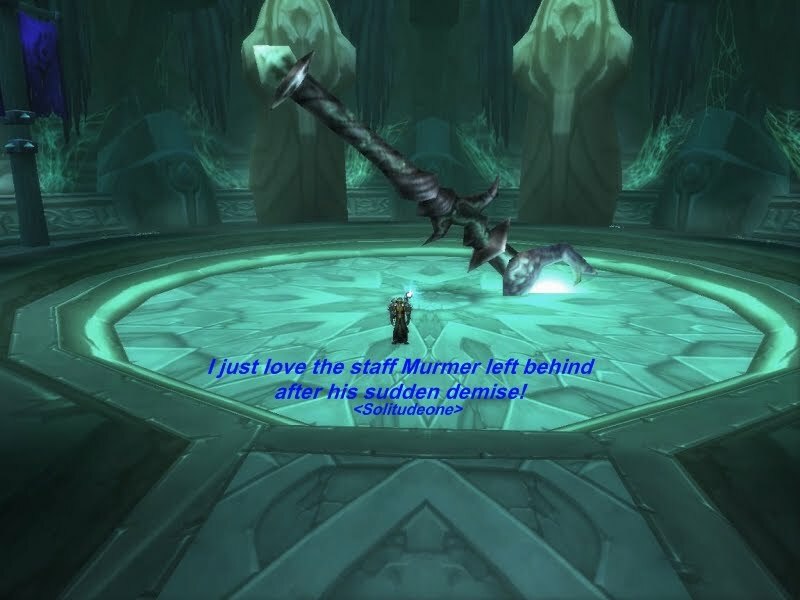 I fell in love with the staff Murmer left behind after his sudden demise. Talk about huge! I just had to have a SS of it for memory sake. See everyone later, and have fun making war!